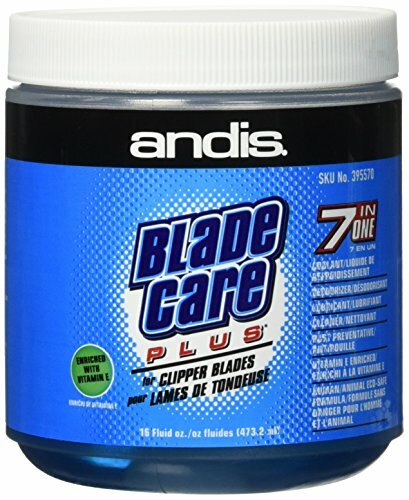 Cool, cleanse and lubricate your clipper blades with Andis 7 in 1 Blade Care. Featuring Vitamin E to enrich the formula, Andis 7 in 1 Blade Care washes buildup out of your blades whilst lubricating them and protecting them from rust. A barbering essential. Don't submerge your clipper, just dip in the blade. Switch it on, run it for ten seconds, and let the debris float away.